Buford and King are outliers at their core, observing the world as if apart from it. They strive for music without a category. They embody many contrasts. They are open and playful as well as thoughtful and disciplined. Live, they deliver punishing volume and scale with their spare duo set up, expanding their sound through a complex set of effects on both guitar and drums. For records, they approach things entirely differently and expand their group in the studio to include Seth Manchester and Keith Souza from Machines with Magnets (their long-time studio), as well as Chrissy Wolpert of The Assembly of Light Choir. The list of instruments used on No One Deserves Happiness is an unexpected collection that includes 808 drum machine, a cello and a trombone. The band employs instruments in their unprocessed state for the simple beauty of the sound, and then in equal measure push them to their most extreme (for example, the sounds at the end of “The Fall and the Guilt” are created by a guitar and a cello). Because they create an entirely singular sound, The Body is in high demand for collaborations with artists across the musical spectrum, from The Bug to Full of Hell to The Haxan Cloak and beyond. They build albums that are as lush and dense as a rainforest and as unforgiving. 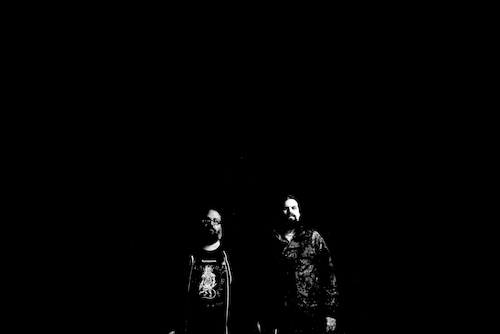 In the past two years alone, The Body has joined forces with the metal bands Thou, Sandworm, and Krieg, recorded with Wrekmeister Harmonies, and collaborated with electronic producer The Haxan Cloak. They are currently working on a collaboration with The Bug and grindcore band Full of Hell. They have toured with Neurosis (playing large venues) and toured with Sandworm (playing house shows). This unexpected list of collaborators and unpredictable touring approach further emphasizes the demand for the band’s distinctive sound and their open, explorative nature.